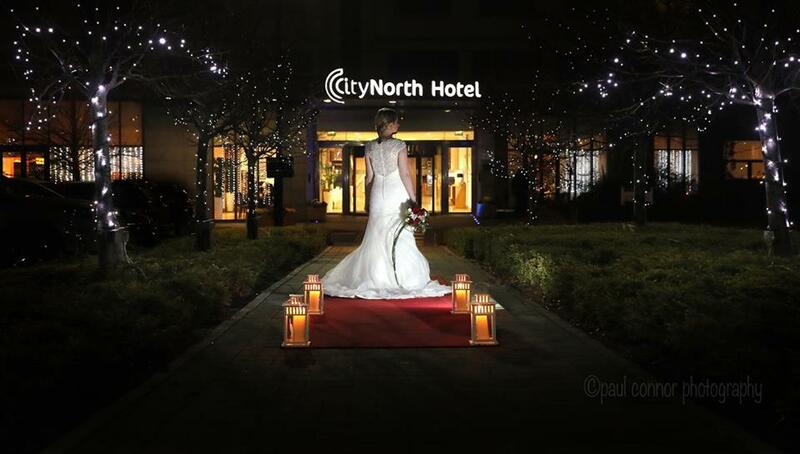 On Sunday last 20th Novemeber, we attended the City North Hotel wedding fair. 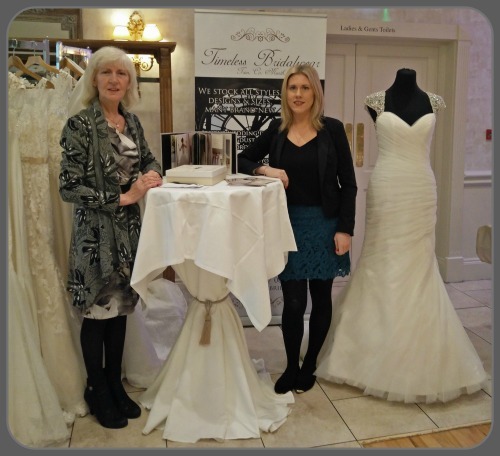 We had attended a Women in Business Networking event during Autumn and were so impressed by the high quality service, exceptional staff and beautiful decor that we immediately enquired on the possibility of attending the hotel’s next wedding show. To our delight we were welcomed with open arms by the very accommodating wedding team. 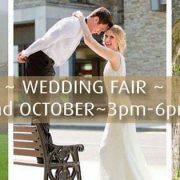 We love attending wedding fairs, well we must do as we attend over 20 per year! At shows, we enjoy meeting couples and delight especially in informing brides of the second to none prices on our wedding dresses! Another aspect of the shows we enjoy is getting to know new suppliers and also reuniting with familiar wedding suppliers! At City North, amongst all the couples, we met Sarah from Custom Cakes who creates ANY wedding cake to satisfy the traditional and more experimental tastes, Linda from Lovin Letters and Flowers Now whose expertise and knowledge could only add spectacularly to any wedding day! Also we met again the most talented, friendly wedding singer. Ladies, if you need a singer for your wedding, you really need to check out the award winning Annie Powderly. Catherine is a warm welcoming amazing wedding and events manager – a true credit to City North and we are organising some exciting projects early next year so watch this space! We also had the pleasure of meeting with Paul from Paul Connor Photography, with whom we had a last minute photo shoot outside the hotel! This is what we love so dearly about the wedding shows, anything can happen or be created, including the spectacular shot above. The poor model was frozen in the minus temperatures, but everyone’s hard work ensured this magical photograph was captured in less than 30 minutes! The cover photo features one of our discounted Morilee by Madeline Gardner wedding dresses. The sheer beaded button up back with soft ruching throughout creates a breathtaking silhouette. From the front, the gown features a sweetheart neckline with beaded straps.The dress is available in size 8-10 & a size 12. Original price of this gown is €1,700, we are selling the dresses at under half price!